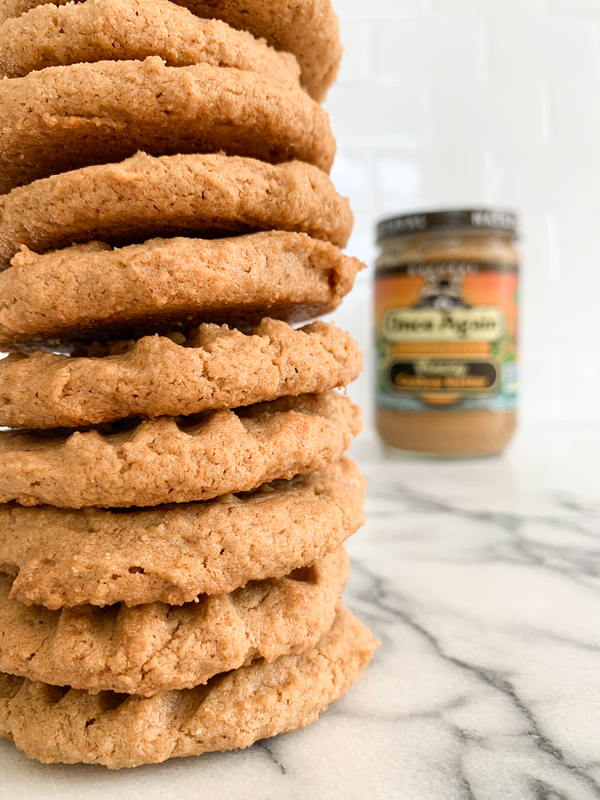 3 Ingredient Cashew Butter Cookies - easiest cookies online! 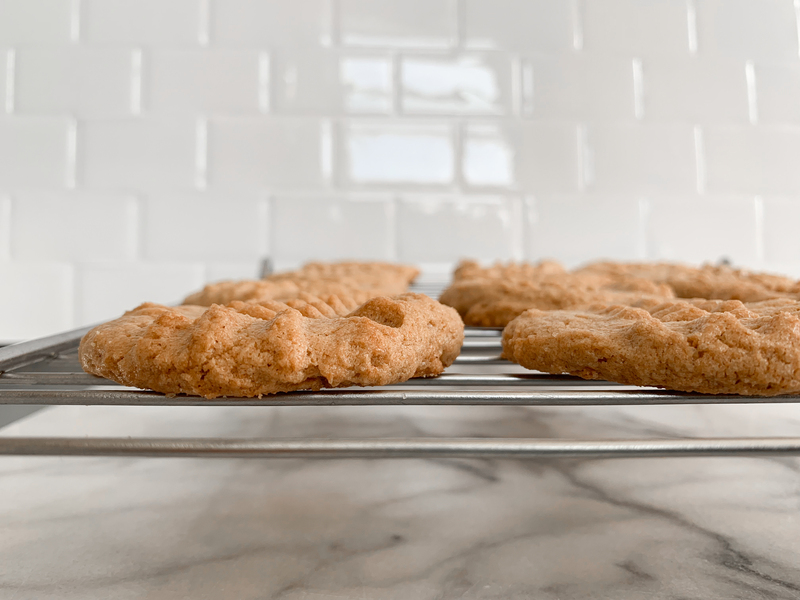 When you need a quick and easy cookie for a party, bake sale, or just because you’re craving something sweet, these 3 Ingredient Cashew Cookies will come to the rescue! Three ingredients, one delicious cookie. As a baker, I was dumbfounded. Could something so simple actually result in a good cookie? Would they even bake correctly? 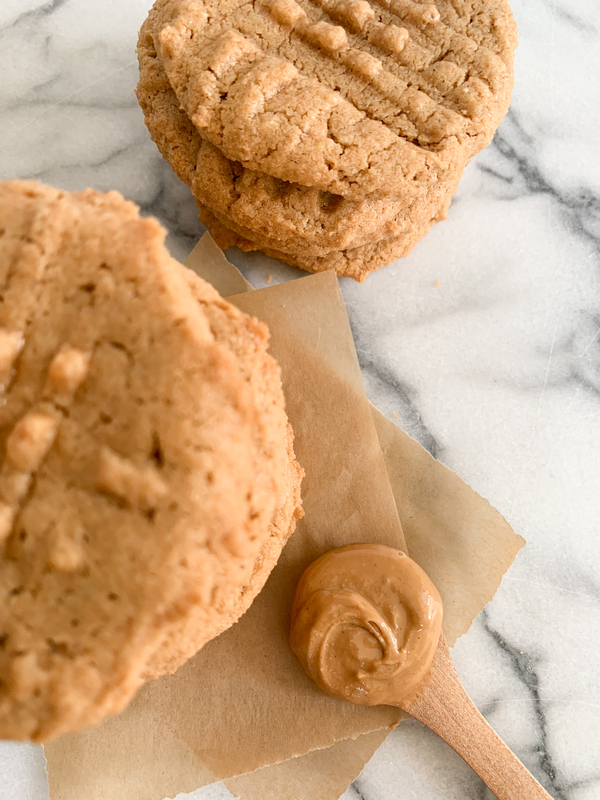 I had questions because I kept seeing recipes for a 3 ingredients peanut butter cookie and doubted them all. Until I tried it myself – and I’m here to tell you, if you ever need cookies QUICKLY – these are the cookies for you! The three ingredients are: sugar, egg, nut butter. That’s it. All mixed by hand, in a bowl. Scoop them out with an ice cream scoop or just roll with your hands, press with a fork to create a little design, and pop in the oven. SO simple. Note that these cookies will not spread at all (the lack of creaming the ingredients plus there are no baking powder or soda in the recipe), so shape them as you wish them to be once baked. Per usual, I couldn’t let things be that easy – so I decided to add two ingredients: a splash of vanilla extract and a pinch of salt, because why not? Ha! 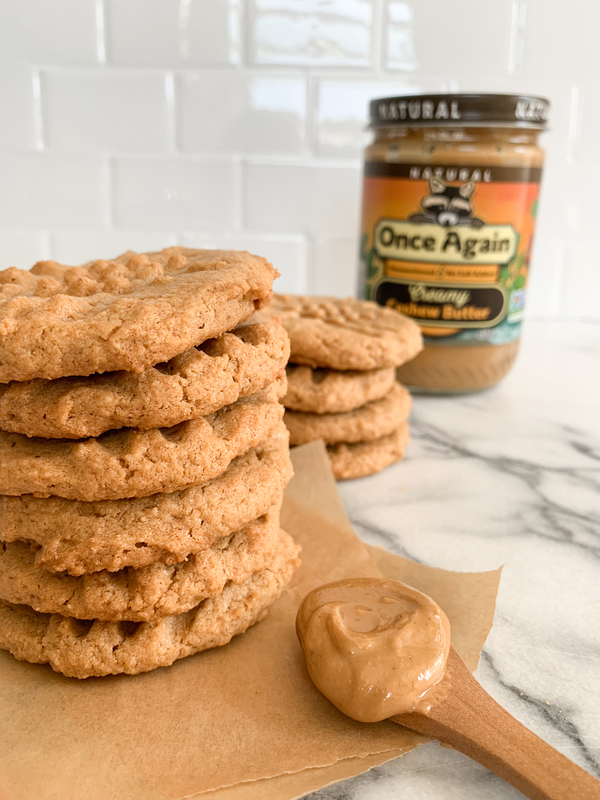 Give these cookies a try this week and you’ll be just as amazed at the results – a nutty sugar cookie that’s crisp on the edges and slightly chewy in the center. The most simple cookie on the internet. Preheat oven to 350F and line a baking sheet with a silicon mat or parchment paper. In a large bowl using a spatula, mix together all of the ingredients until combined. Using your hands or an ice cream scoop, form the dough into balls and place on baking sheet - you'll fit the entire recipe on one sheet. Press the dough balls with a fork and bake 10-12 minutes, until the edges are slightly golden brown. Cool for 5 minutes on baking sheet and then place on cooling tray. My kids love cookies! thanks for the recipe, will try making this for them this coming weekends.